As I type this, my book is getting printed. For some reason I envision old-timey printing presses whirring out massive sheets of paper with folks racing hither and yon, wearing ink-splattered aprons and shouting things like, “Typesetter, tarry ye not!” — I bet, though, things are all slick and digitized and operated by androids these days. My friends, I have completed another book. Me!!!! A sewing book!!! With projects and stories!! M tells me that when I am in utter disbelief, I become a bobble-headed doll. My head bounces all over the place while my body remains immobile. K has confirmed this, and apparently, I look ridiculous. I’ve been bobbling in full force for the past 20 months, which is how long the book took to complete — I thought it was 17 months, but nope, I was wrong. I am especially bobble-headed about the amazing blurbs my intrepid and fabulous editor garnered. Molly has been a long-time personal hero of mine, and I squealed when I saw her name on the cover. I think my editor may have secretly bribed her with mind-altering truffle oil from Saturn or something. Wow. Wow. 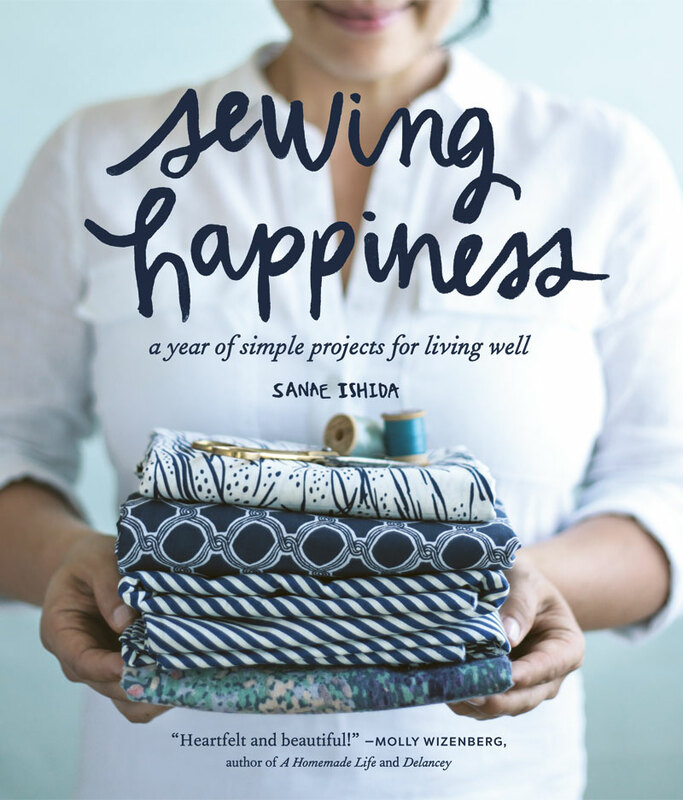 It’s called Sewing Happiness, and seems to be available for pre-order though it won’t be released until April 2016. It’s published through Sasquatch Books — they also published Little Kunoichi and everyone I’ve worked with is wonderful and I don’t have enough accolades. The cover was styled and shot by the inimitable team at Besotted; Tristan and Michelle have both become very dear friends (a little behind-the-scenes: I’m wearing Tristan’s linen shirt up there with a bulldog clip attached at the back to give me the illusion of a waist). It hasn’t really hit me. I have a lot to say about this experience and I’m so grateful that so many of you stuck around during my poor showing in blogland, but right now, I’m just reveling in the unhurried pace and the fact that it’s DONE. Good things are afoot, I think. Good things are here!!!!! Congrats!! Well the cover looks beautiful. I’m eager to see the rest! Thanks so much Sara – it was definitely a labor of love! Yay!! I can’t wait to see the actual book either! I’ve only seen the digital proofs so far and won’t get to see the physical book until they send me advance copies next year. Thank you, Karen! Many many many congratulations! It looks beautiful. Many, many, many thanks, Evie!! I’m quite proud of my newest baby (though I realized that I could have had two babies in the time it took to make the book ;-)). I’m SO EXCITED FOR YOU. And then also US because we get to read it. And having saw that galley, i know it’s going to be amazing. CONGRATS SANAE!! Thank you, thank you Heather!! It was so fun to be able to share it with you in person and your feedback was so uplifting!!! Upwards and onwards! My heart did a little skip upon seeing the photo load on my computer! Sanae – this is FANTASTIC! I am bobble-heading along with you:) So very, very thrilled for you as I know this has been a huge (long!) labor of love for you. Love your smile on the cover, and of course love the blues of the fabric:) April can’t come soon enough! Heartfelt congrats, my friend. Bobbe-heads unite! It makes me feel a little dizzy when I think about how long the whole process has been, but it’s awesome to look back and know that I didn’t throw in the towel (at some points, the thought crossed my mind). Thank you!! Congratulations, Sanae! I’m looking forward to seeing this book! Thank you, Melissa! I’m thrilled to be able to finally officially share it! Cheers, Sanae!! You did so much work on this book, and it shows – enjoy celebrating! Oh, I’ve been celebrating Morgan! Which really amounts to just sitting around in a daze, amazed that it’s all done. Thank you, and I can’t wait to catch up with you in person! Oh my gosh Sanae!!! Bobble-heading with excitement along with you!!! Congrats Sanae! The cover looks enticing and beautiful. Love the title, too. How exciting! Thank you so much, Marisa! Michelle and Tristan really deserve all the credit for the cover. I just stood there and perspired a lot out of nervousness…. How wonderful! Celebrate this milestone! Much appreciated, Charissa – it’s a very, very exciting time!! Yay! Congratulations! I’m so excited for you that you’re finished, and I’m ecstatic to see the gorgeous cover already! I can’t wait to see it when it comes out! Molly of Orangette is a fabulous writer and someone I’d love to meet in person – much the same as how I feel about you! – so it’s very, very cool to know she liked your book and got a blurb on the cover! Oh, and, my daughter’s getting Little Kunoichi for Christmas!! Hooray, thanks Amy! Molly is a phenomenal writer, and I’m cowed to be included in the same sentence with her. I went to Delancey’s for the first time a few months ago and loved it — it seems that everything she’s involved in is golden and amazing. Maybe that’ll rub off on my book. 😉 I hope you and I get to meet up one day soon since we’re in the same city, Amy!! 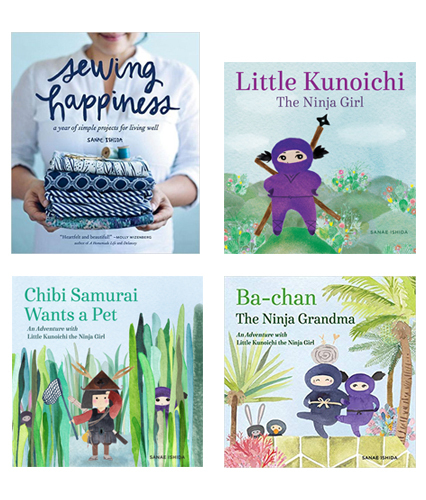 And thank you so very much for the Little Kunoichi love! ps. your blog is one of my favorites! You’re so awesome, Steph!! Thank you so much for the preorder!!! Gah! I’m so happy for you!!! Two books is such a big achievement! It’s such a huge relief to be done, Em, and I don’t even know what to do with myself since I’ve been working on the sewing book for so long. But I’m happy and ready for whatever’s next!! Thank you! GOSH! Congratulations. This is SUCH fantastic news Sanae! It’s fantastic to be able to officially announce it, Asmita. 🙂 Although it’s been feeling increasingly real, there’s still a part of me that doesn’t believe it’s actually happening. Thank you so much! Yay! Congratulations. I am so happy to see this day has arrived. I will be ordering or preordering it and I can’t wait to read it. This is so exciting! Congratulations Sanae! Thank you, Amber! I feel positively giddy! Congratulations! I’m so excited to read this! It’s been a most eventful year, and I’m thrilled that I can now check this off my list. This is the best Christmas present ever!! Thank you, Mia! Thank you, Jessica! I appreciate each and every one of you taking the time to comment! Congrats! So excited to read it and very very happy for you. You are an inspiration! Thank YOU for all your wonderful emails and comments, Claudette! Wow, exciting…congratulations! Can’t wait until April. I’m sure all your hard work will pay off! I do hope the effort pays off and I couldn’t agree more about the end of the year – this is probably the least stressed I’ve been before the holidays in a very long time :-). Thank you, Rhoda! Congratulations! I also ordered it because of course I need this book! I’m thrilled for you:) I love everything about your choices of fabric and patterns, I adore the blog, it brightens my day when you make an entry, and I have so much respect for your vision and talent:) Take a well-deserved rest. Oh, Annelieke – thank you, my awesome book recommender and lovely compatriot all around! Yes, rest is high on my agenda :-). Yay!!! Your book is on it’s way. I am so excited for you and to find our more about all the amazing things you have been doing to make this happen. Thanks for sharing your exciting news with all of us! Thank you, thank you Beccy! There’s still a voice inside that doubts that this is actually happening, and I’m so curious to see what happens next year…I’m looking forward to 2016!! WOW! yeay! How wonderful! Congratulations!!!! It’s definitely hard to wrap my head around this whole book situation, but I’m SO glad to have gotten to this point. I had some serious fears that I was never going to finish. Thank you, Kathryn! Yay! Great news. We have now had two occasions on which to use the little sewn goodies that I pattern tested. So, we were toasting your success just the other night! Fabulous! Thank you, Shelley — it’s good to hear that the projects are getting used! That was something I really hoped for, so I appreciate you letting me know! Congratulations, Sanae! Your book looks wonderful already and I haven’t even seen the inside of it! Can’t wait to see it! My husband — who has never paused to look at a craft book in his life — gave me props for the imagery in the book, so it was very encouraging. I’m hoping that other people will love it as much as I do! Thank you, Fiona! Congratulations Sanae, it looks beautiful and amazing and so much more. Can’t wait to see it in person :). Happy Holidays to you and all your loved ones. Happy Holidays to you too, Tracy! K was wearing the hat you knitted for us the other day and I was thinking of you. I hope you’re doing well and thank you :-)!! Hearty congratulations, Sanae! The cover looks beautiful! Can’t wait to buy the book! Many congratulations, Sanae! I can’t wait to read it!!! Thank you so much, Tamiko!! 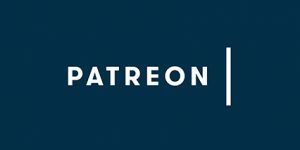 I just saw the interview you did with Allen Say, and it’s fantastic!